The headphone is actually quite heavy and bulky, unexpectedly so and this happens to be one of the only Sony headphones currently available that I’d not experienced prior to a review. Sony sent this to me sight unseen and I am happy they did. Sam ( my Sony contact ) is just about the best at what she does and I’ve got to say, after working with so many other audio companies over the years, none even comes close to Sam. She is on the ball 100% of the time and I just couldn’t possibly ask for a better Media contact than her. Cheers, for all the great headphones so far Sam! 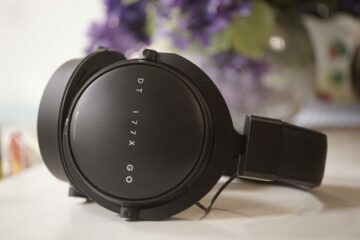 I sit here wondering why the 1RNC hasn’t made waves in the audio community, it seems like the headphone pretty much all of us want for traveling, yet have never received. I took this headphone to Best Buy ( a US based large retail store outlet ) where they have a large Bose demo stand available for anyone interested in buying their headphones. On their display, they’ve a large speaker set up that pipes out the same low end noise that you hear while flying in a plane…that constantly low end rumble and muffled engine whine type of a sound. Bose proudly displays their QC-15 and QC-25’s for all to hear, they ask you to put the headphone on and press a button, the button activates an audio track that speaks to you and tells you about the product a little, but once the track tells you about the plane noise and how great it is on flights for the owner, it asks you to take off the headphone so you can hear that rumble sound most planes give off to passengers inside. That sound had been playing the entire time. Really cool setup for Bose…but those headphones cost $300 or so and don’t sound nearly as nice as the Sony 1RNC’s do, despite the Sony’s exactly the same price. 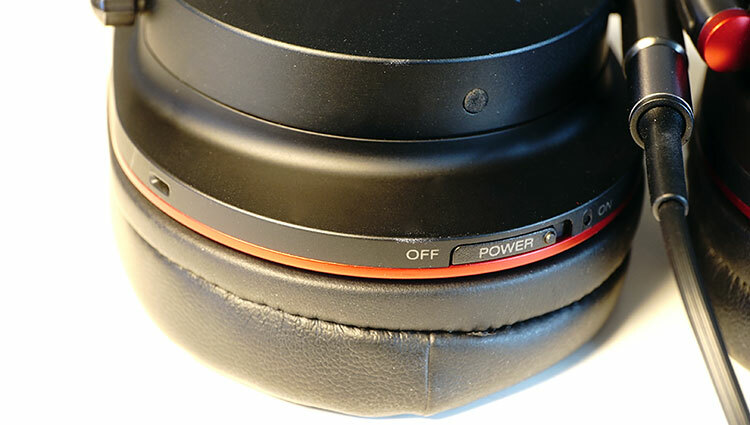 I swapped the Bose headphone for my Sony 1RNC during the plane noise test and the experience was pretty much the same with noise canceling quality. Gotta admit, this Sony headphone has done a great job with their active noise cancellation quality. For reference, my cat likes to sleep on me while I rummage through the Internet, she snores loud enough to wake herself up sometimes and with the Sony 1RNC’s NC mode active, I can’t hear my cat at all who is less than 2 feet from my face. Pretty good when consider that the sound quality of this model rivals the 950BT in solidity, but also rivals the standard 1R in sound quality…like a happy accidental pregnancy of the 950BT and the 1R. Funny, I mentioned that I wanted this type of sound in both of my past reviews of those headphones, so now that I have it I am a bit lost of what to actually do with the headphone…as the Joker from The Dark Knight said: I am like a puppy chasing a car…but wouldn’t know what to do with it when I actually did catch it. Or, something along those lines. Like the Bose headphones, this 1RNC has trouble with high frequency active cancellation, high pitched sounds are indeed muted and plenty quiet while listening to music, I can’t hear cars go by while sitting outside, but those same higher end sounds are noticeably less muted than the lower frequencies when no track music is playing. There is also a slight hiss when the track is muted and it is not coming from the source player, it is just battery/voltage hiss or something to do with the active NC creating some floor noise. Bose has Sony beat on that front, their headphones remain very silent without music playing and with their NC active. 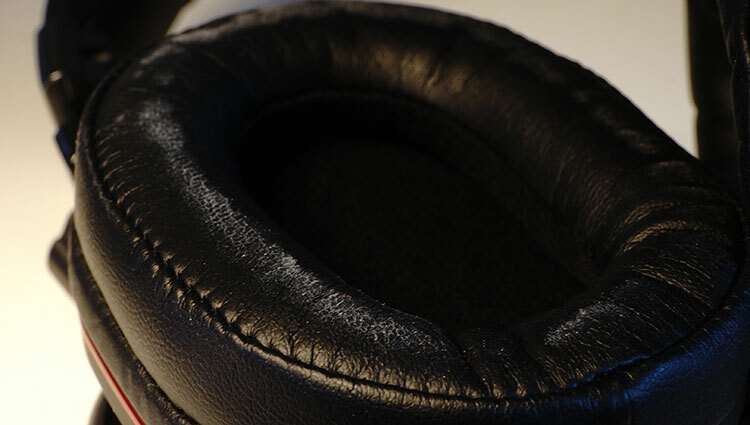 The headphone retains the same great headband design that hardly any other audio company seems to want to implement, wow does this make me angry to see some companies insist on using leather straps and radar dish designs in 2015. It doesn’t belong, please stop. Take notes from Sony and Oppo because the designs they’ve used are simplistic, elegant and extremely comfortable. That nice U-shape in the headband design makes sense, half circles don’t and there is no reason for them to exist, same for the Audio Technica Flying Wing design. Ugh. As Elsa from Frozen said: Let it go, let it go. True, the 1RNC is the heaviest Sony I’ve ever used i the portable realm of their headphones, that great headband design makes up for it and allows for the proper balancing on my head without needing excessive clamp. I am not fond of the earpads, they are actually right in the middle of the depth of the 950BT and the thinness of the 1R pads, somewhere in that center thickness area and it feels a bit odd to me. 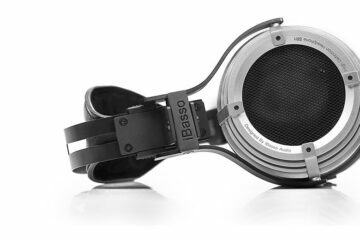 Maybe this was a proper choice for the noise cancellation needs but I would prefer a deeper earpad. Quality aside, which is good leather, the pad is just too thin for me and next to the 950BT’s fantastic ( FAKE LEATHER ) pads that are super deep and plush, both the 1R and 1RNC fall short despite using real leather pads. Outside of the pads, the build quality is very good, the same metal frame and solid plastic cups with a hefty feel were used in this 1RNC’s design as they were in the other 1R series models of the past. Sony is on the ball with this type of thing. Sony still includes a thin, lower quality cable that I just can’t stand. I prefer fabric laced, something strong and that lets others know the cable is at least trying to appear higher class…death to the standard rubber casings. It is 2015, lets move past this already! i’ve given up on nc headphones. they’re very bulky to transport and the sound isn’t that good. i bought ety4’s and got custom tips [$80 with the ety coupon]. better music and better isolation, albeit at a slightly higher cost – $380 for both the earphones and tips. ety4’s with comply isolation tips would be even cheaper and probably give at least as much isolation as the nc headphones. of course the ety’s won’t screen out bone conduction, but neither will the nc headphones. I’m with you on that. I dropped a sickening amount of cash on my Noble K10 just to bypass this annoyance with the bulk.